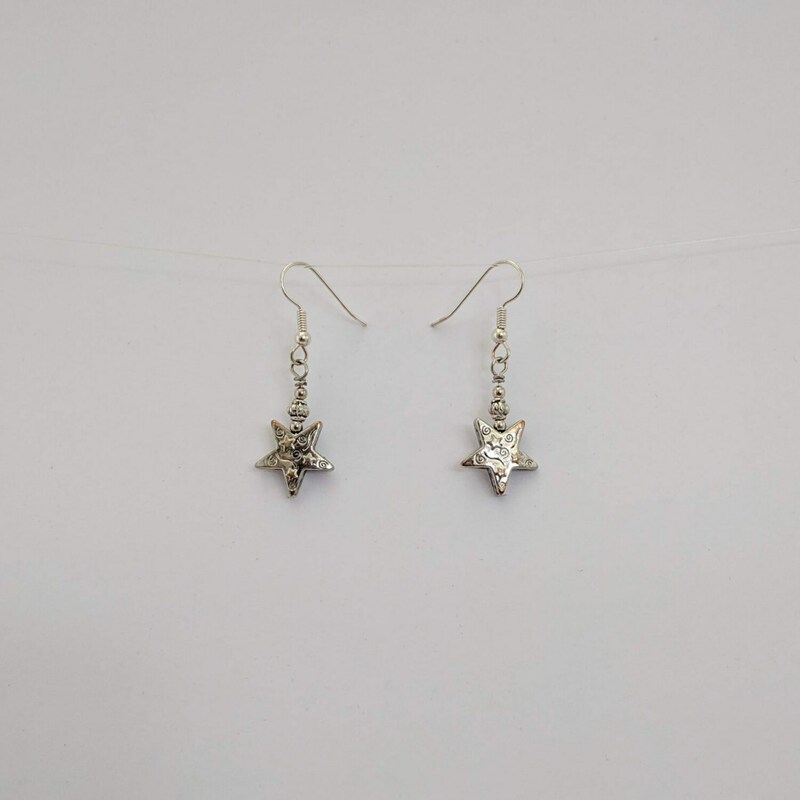 Wish upon a star! 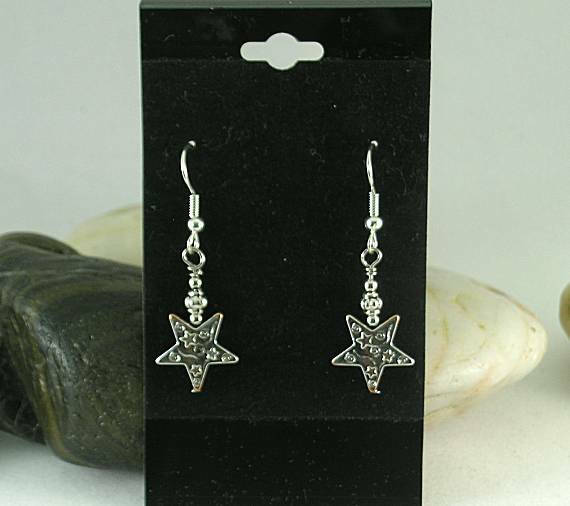 Wear these 5 pointed stars and make your own wishes come true. 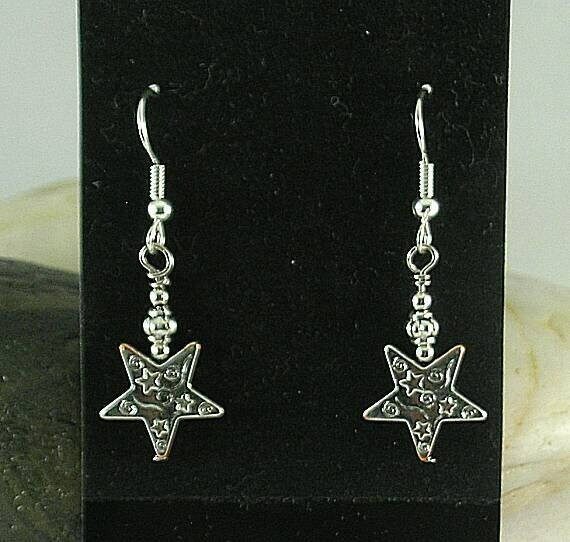 These dangles are made with 14mm stars and spacer beads. 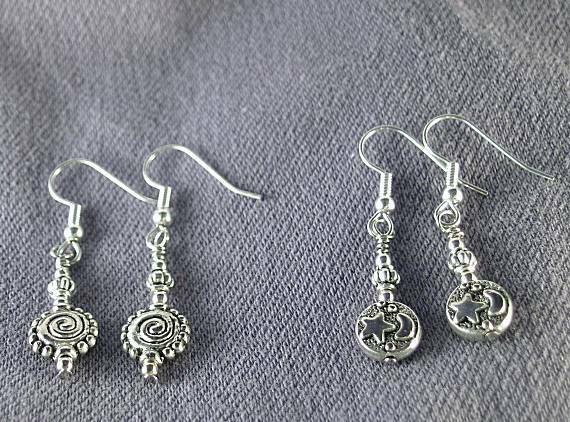 The overall length is 1 3/4" or 44mm including the stainless steel ear hooks. 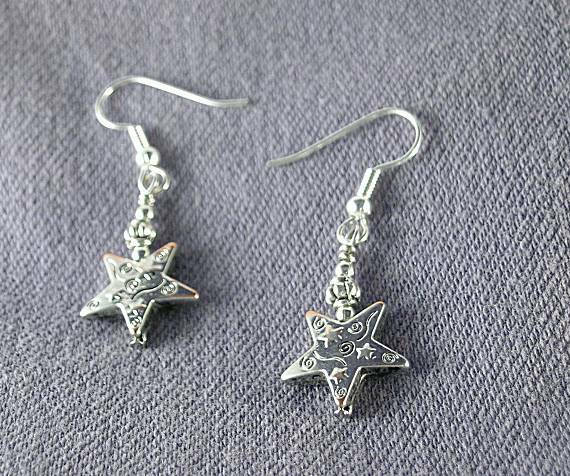 NOTE: Just noticed in the pictures that I made these with two of the points upward or what some people consider an upside down star. 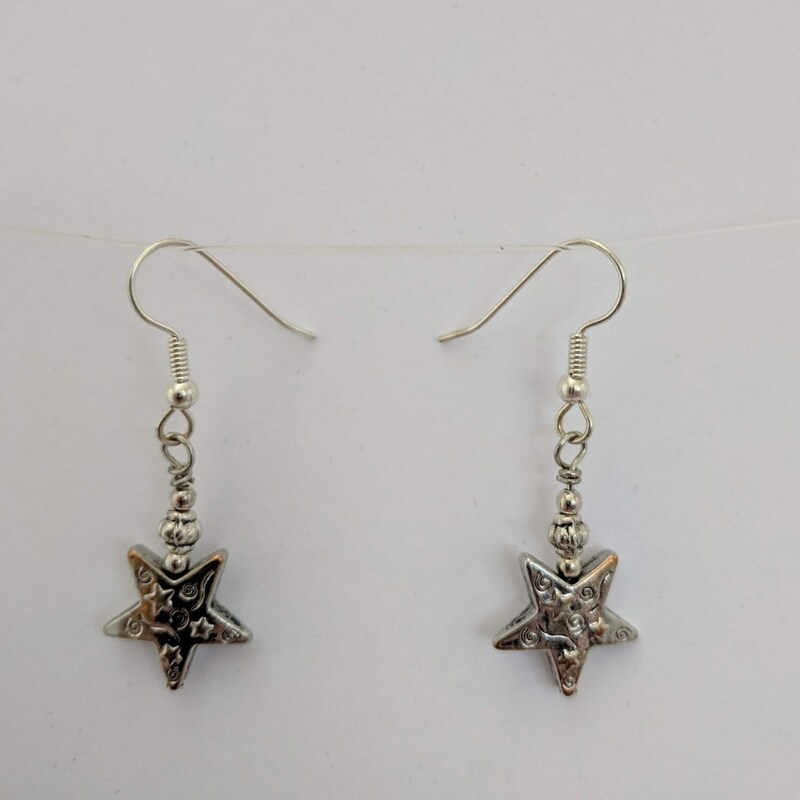 If these "horns" offend you, I will turn the star around in another pair of earrings so that only one of the points is at the top.